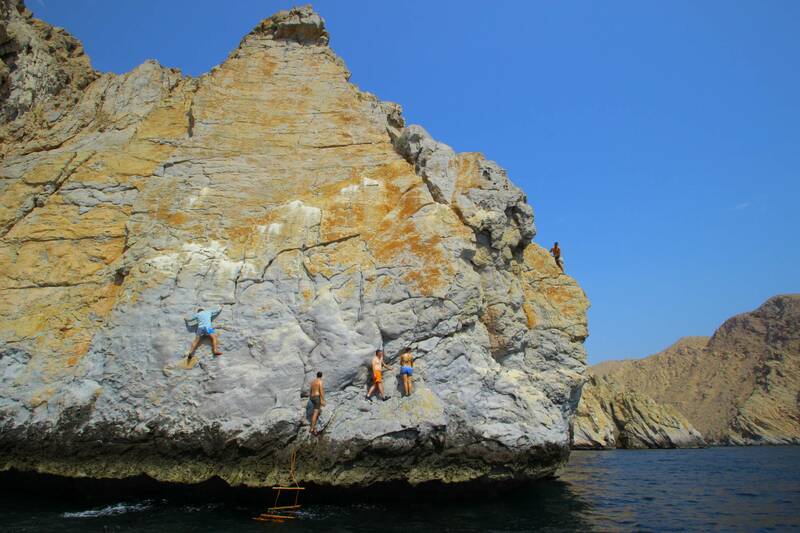 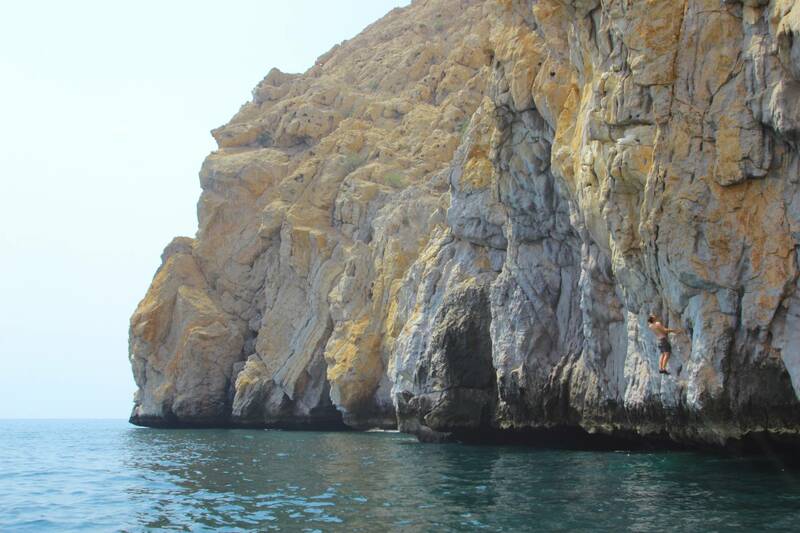 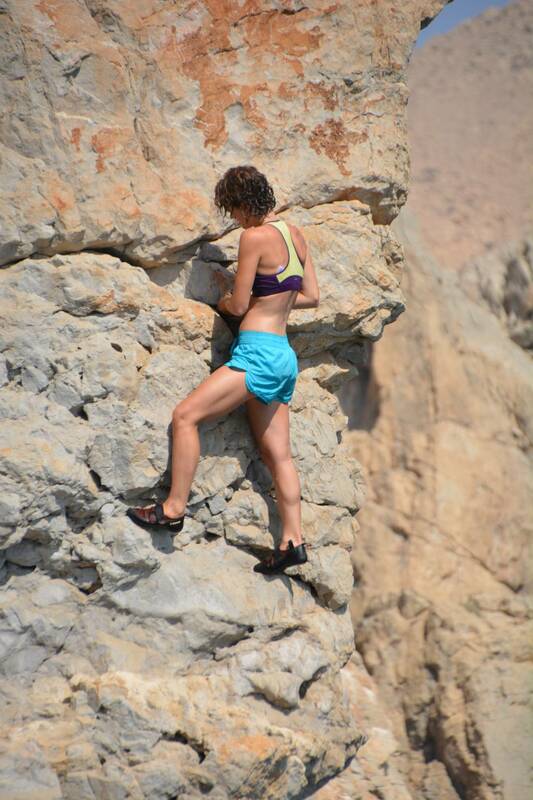 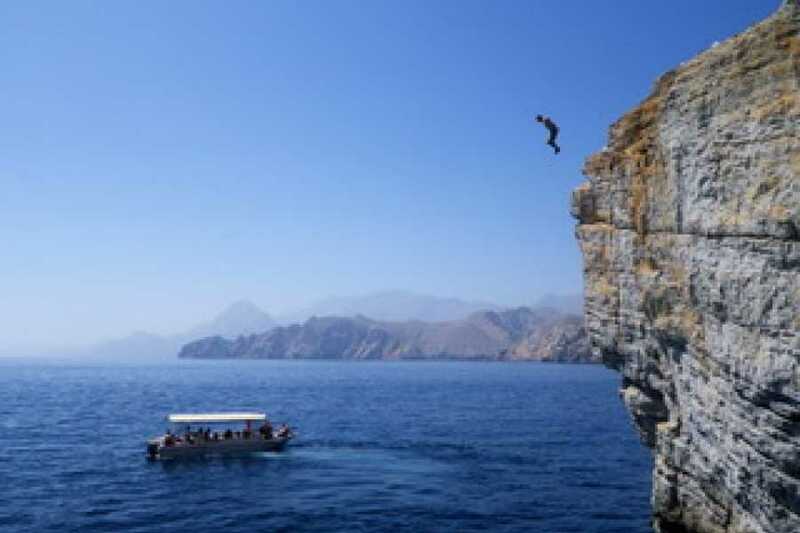 Experience the thrill of climbing, ropeless, above the clear waters of the Gulf of Oman! 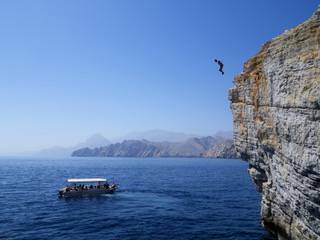 We'll board our speedboat for the day in Dibba Oman, traveling north along the sea cliffs about 15 minutes to the first DWS site, Shark Bay. 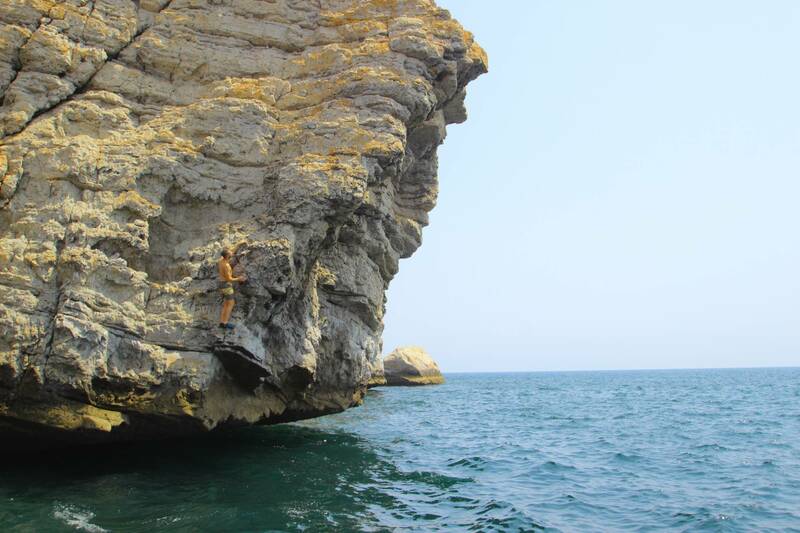 This area has a variety of climbs and is the perfect place to learn and practice skills like falling/jumping into the sea from various heights. 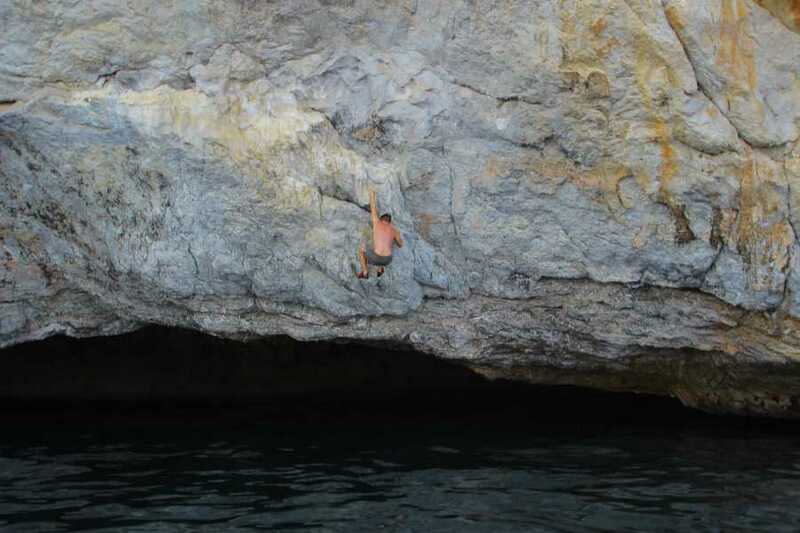 Once everyone is comfortable we'll move from site to site for more climbs, opportunities for cliff jumping and, snorkeling.